Ah, it’s fantastic to see the secret best open-world game ever made back at the top of the Steam charts. 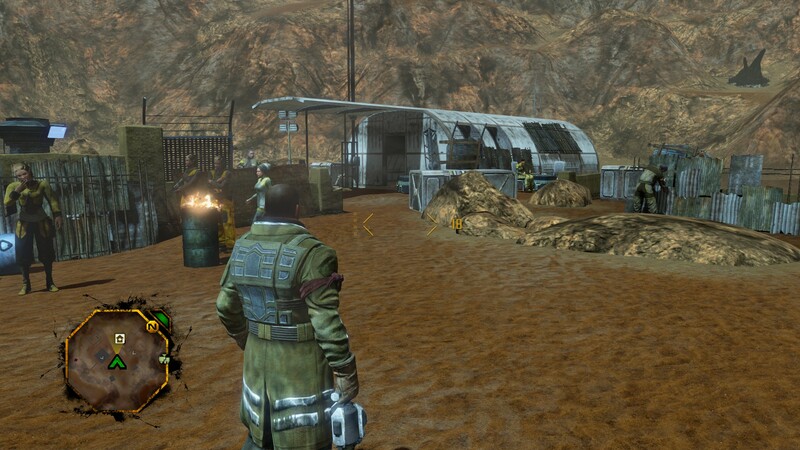 Red Faction: Guerrilla may be nine years old now, but very few games have come close to how Volition’s Martian Revolution takes the open-world structure and does something interesting and specific with it, rather than throwing everything and the kitchen sink at a huge yet aimless expanse of terrain. It still astonishes me that no game since has attempted to replicate its incredible destruction tech, or how it encourages players to actually play with the systems at hand, instead of ticking off a long and repetitive list of chores. As you can probably tell, I have a deep and long-standing affection for Red: Faction Guerrilla. Yet this re-release puts me in a rather difficult position, because I’m not sold on the remaster at all. You see, Guerrilla was always a brilliant game, but it was never a beautiful one. Even on release, the map was a lumpen mass of barely-disguised BSP terrain, painted rust-red, earthy brown or, if you were very lucky, mildly green, all with little in the way of detail. Indeed, the vast majority of the game’s detailing went into the buildings, specifically how they fell apart when you destroyed them. Now one might reasonably argue that “Rick, you idiot, the game is set on Mars. Have you ever seen a picture of Mars? It’s not exactly the Cotswolds.” And I understand that. 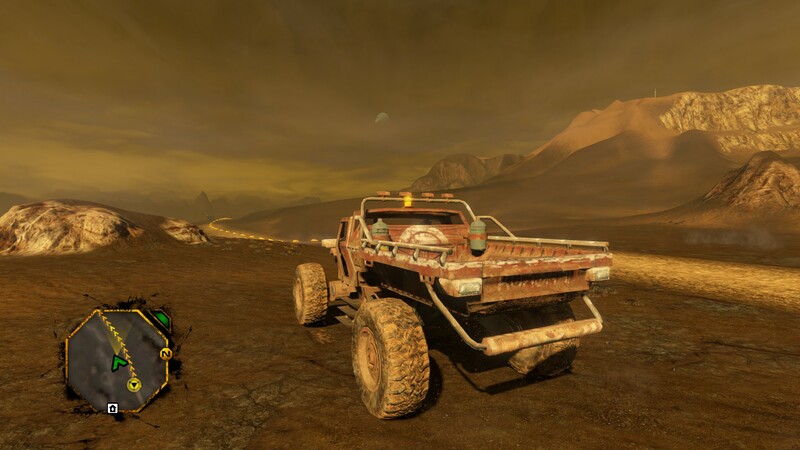 However, it is possible to make a desolate wasteland look good, as seen in games like Avalanche’s Mad Max and Fallout 4. The point is, there was an opportunity here to take Guerrilla’s rather bland aesthetic, and make it look as good as it plays. Instead, what the remaster provides is a basic do-over of what was already there. Support for ultra-high resolutions, sharper textures, tweaks to lighting and shadow effects, a few other visual changes such as to how pickups like scrap are highlighted in the game world. The result is undoubtedly an improvement over the original version – less fuzzy and a slightly greater colour variance between the game’s regions. But it’s still by no means a pretty game, which rather makes you wonder what the point was. If you’re a Guerrilla fan wondering whether you should invest in the remaster, I’d probably say no. I played the original version only a few months ago, and while it looked old and brown and boring, it still felt fantastic, and it’s that blend of audio, visual, and physical feedback that makes a game stand the test of time, not how good the textures are. So I don’t think this remaster holds much appeal for people who love the game anyway (although apparently if you own the game on Steam, you get the remaster for free, which is a nice gesture on the part of THQ). If, on the other hand, you’ve never played Guerrilla before, then oh my poor, innocent child, come sit down and let me explain why you absolutely, positively must. 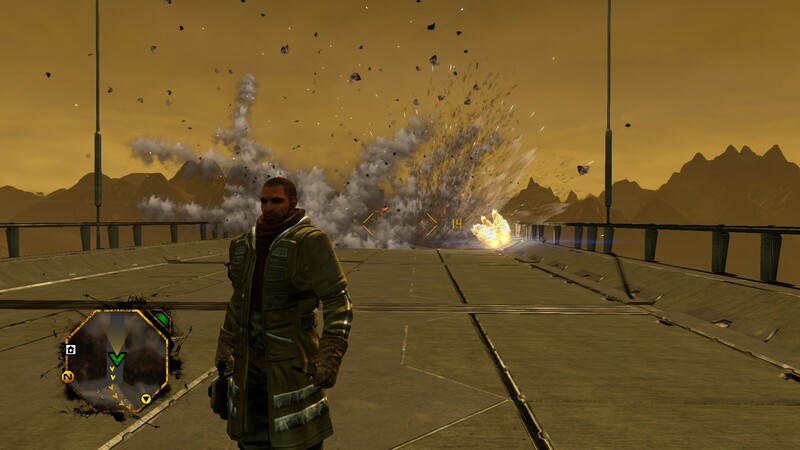 As you can probably guess, Guerrilla is the story of a Martian revolution, which you will spearhead as reluctant hero and personality vacuum Alec Mason. Mars is split up into five different regions, which includes the starting region of Parker, the desolate Badlands, and the fertile Oasis. All of these regions are pinned beneath the jackboots of the oppressive Earth Defence Force, the faceless baddies whose frontline troops you will shortly murder by the thousands. The story is a standard uprising fare, designed mainly to give you plenty of excuses to blow stuff up. Not that you’ll need many. 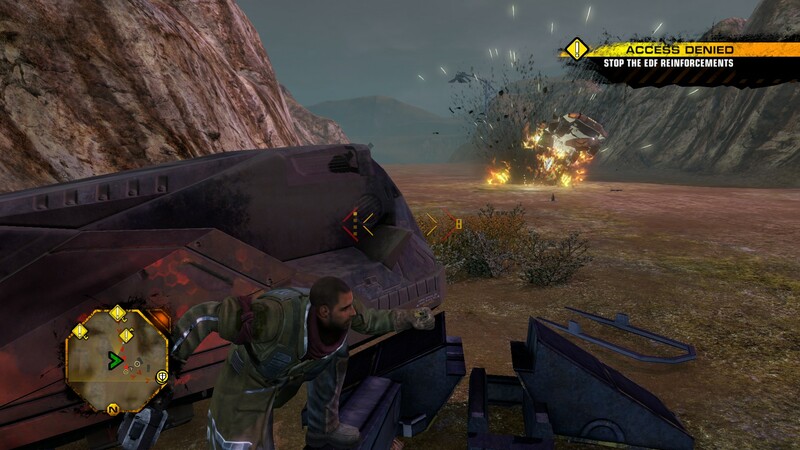 Guerrilla takes the destructive potential the Red Faction series made its name upon and flips it on its head. Whereas in the earlier games you destroyed terrain, now you obliterate man-made structures. Even nine years on, Guerrilla’s destruction tech is incredible. Smack a wall with Mason’s hammer and it will crumble in a puff of concrete dust and twisted rebars. Blow up the base of a chimney stack and it will collapse downwards in dramatic fashion. Detonate a series of remote charges on the inside walls of a building, and it will burst like a balloon filled with metal confetti. The physics and sound design of Guerrilla are perfectly balanced to communicate just the right amount of weight to your actions, while ensuring the game remains quick and reactive. There’s so much fun to be had simply choosing a structure and figuring out the most efficient way to demolish it, whether that be trying to do it with a set number of charges, smashing the right supports with your hammer, or simply driving one of the game’s many vehicles through the building and seeing what happens. 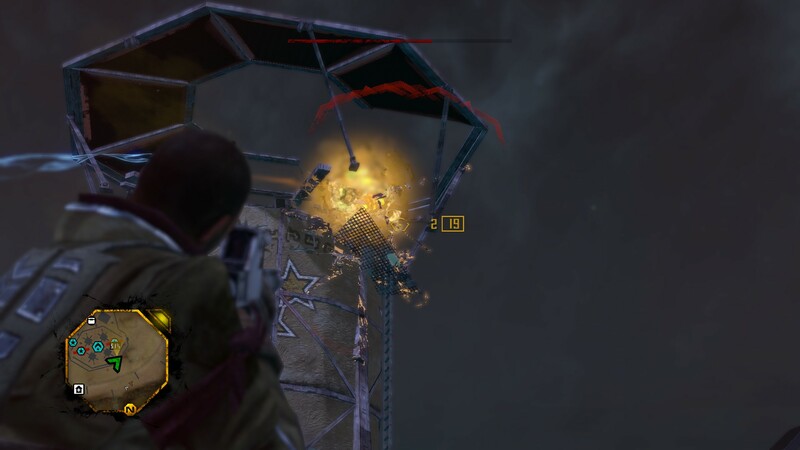 Later on in the game, you’ll unlock further destructive potential, such as rocket launchers and the wicked Disruption Rifle, which doesn’t just demolish buildings, but dissolves them too. On top of this fantastic mechanic are a whole bunch of other great systems. The most significant of these is Control, which represents the grip the EDF have on a certain region. 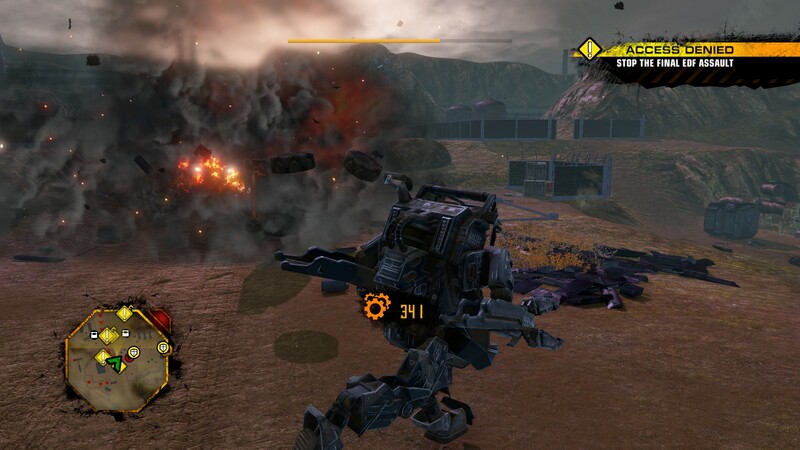 To unlock story missions, you need to lower the EDF’s stranglehold on a region by destroying key structures and completing side-missions for the guerrillas, which include assaulting targets chosen by the faction, destroying convoys, and so forth. It’s a fantastic way to add structure and purpose to the game’s creative open world without forcing the player to do any specific task. There are so many other little things I love about Guerrilla too, such as its wonderful roster of vehicles, particularly the Martian 4x4s, with their big, chunky wheels and tyre treads you could lose a small dog in. I also love how any fellow revolutionaries who happen by you during combat will leap to your aid, adding a real sense of camaraderie to the proceedings. Many of the story missions use the game’s systems to splendid effect, as well. One highlight sees you racing across a patch of no man’s land under artillery gunfire, before infiltrating the base where those massive cannons are housed in order to destroy them. 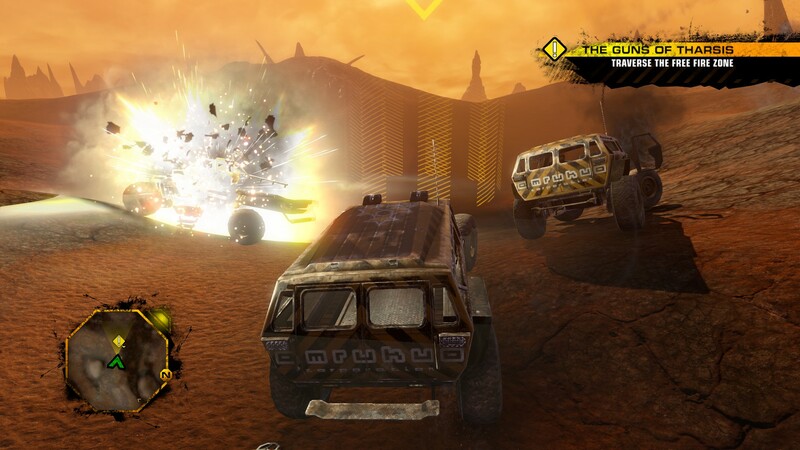 Red Faction: Guerrilla remains a fantastic game regardless of how it looks. It deserved to be far more influential on the industry than it ever was, and I sincerely hope that more people realise its potential this time around. I’d recommend the remastered version purely on the basis that it’s now the best way to play the game, but frankly, Guerrilla’s greatness runs far deeper than its surface presentation.